A list of the world’s top exotic superfoods including the best amazing raw foods and organic green powder such as spirulina with vitamins and nutritional information. What are superfoods? What are the world’s most healthy superfoods? Superfoods are foods (usually fruits or vegetables) that contain an abundance of healthy benefits as compared with most other foods. There is no technical definition or specific requirement for a food to reach “superfood” status. It primarily depends on if the food is made of a single main ingredient and is rich in nutrients, vitamins and other health benefits while remaining low in calories. Tired of hearing articles with the heading “Is ______ the new superfood?” or “Is ______ the next super grain?” like these foods were born yesterday? Then let’s look into the lot of them. These nutrient-dense fruits, vegetables, and other members of the plant kingdom are well-known in their respective regions, but may be considered esoteric elsewhere. They’ve been around for centuries…if not millennia. (Saying that any of them are the “next superfood” is akin to youngsters saying Missy Elliott is on the verge of blowing up.) Due to their inherent health-packed properties, it’s time to familiarize yourself with them. These super foods of the past will play a major part in our health in the future. Açaí is actually one of the better known exotic fruits due to their omnipresence in smoothie bowls. These berries are deep purple-chocolate in color and taste like a cross between blackberries and dark chocolate. They are native to northern areas of South America, particularly Brazil. This superfood is high in: antioxidants, calcium, fiber, vitamin A, resveratrol, cyaniding, ferulic acid and oleic acid. 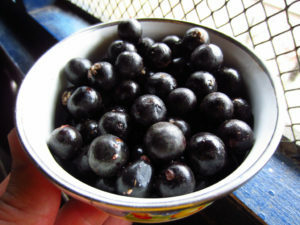 Health benefits provided by acai include the potential treatment and prevention of: allergies, arthritis, cancer, erectile dysfunction, heart disease, inflammation, neurological diseases, obesity and oxidative stress. 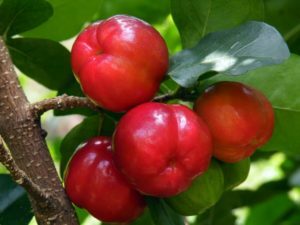 Acerola is a cherry native to topical regions of South America (Brazil), Central America and Northern America (Puerto Rico, Dominican Republic and Mexico). 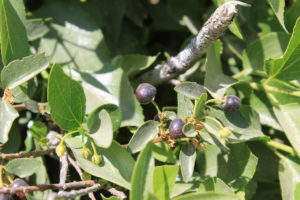 Its flavor ranges from tart to sweet depending on its ripeness. This superfood is high in: antioxidants, vitamins A, B1, B2, B3…especially vitamin C. Health benefits provided by acerola include the potential treatment and prevention of: scurvy, blood clots, cancer, heart disease and hardening of the arteries. Amala is a sour berry that is found throughout India, Sri Lanka, Pakistan, Uzbekistan, Southeast Asia and China. This superfood is high in: vitamin C, antioxidants, vitamin B complex, calcium, carotene iron and phosphorus. 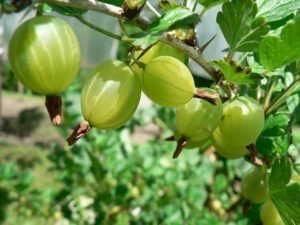 Health benefits provided by amla include the potential treatment and prevention of: asthma, brain functionality issues, cancer, diabetes, digestion issues (i.e. constipation, excess gas, bloating, cramping and diarrhea), hair loss, high cholesterol and macular degeneration. 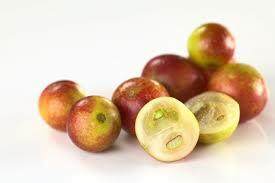 Camu camu berries are sour cherry-like fruits that are native to Peru, Brazil, Colombia and Venezuela…particularly in the flooded regions of the Amazon rainforest. This superfood is high in: vitamin C, potassium, antioxidants and amino acids. 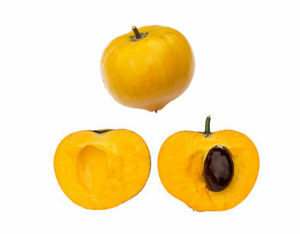 Health benefits provided by camu camu include the potential treatment and prevention of: Alzheimer’s disease, dementia, diabetes, digestion, infertility, inflammation, pain and vision problems. 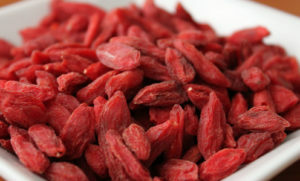 Goji berries are sweet and slightly tart berries that are often seen in dried raisin-like form. This superfood is native to China and is high in: vitamin C, vitamin A, fiber, iron, zinc, antioxidants and amino acids. Health benefits provided by goji berries include the potential treatment and prevention of: digestion issues, high blood sugar, infertility, influenza, liver problems, mood swings, skin problems, stress and weight gain. 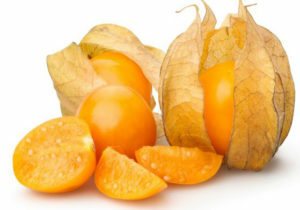 Goldenberries are small sweet tomato-like berries natively grown in Chile and Peru. This superfood is high in: antioxidants, vitamin C, carotenoids, fiber and protein. Health benefits provided by goldenberries include the potential treatment and prevention of: asthma, certain cancers, digestive issues, gout, inflammation, skin conditions and viruses. 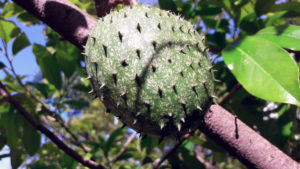 Graviola is a creamy sweet and slightly tart fruit native to tropical regions throughout South America and southeast Asia. This superfood is rich in: antioxidants, iron, calcium, sodium, copper, and magnesium. Health benefits provided by graviola include the potential treatment and prevention of: arthritis, cancer, infections, inflammation and respiratory issues and skin problems. Lucuma is a fruit with a dry egg yolk-like texture and a sweet flavor similar to maple and sweet potatoes. This superfood is native to Peru and is high in: antioxidants, vitamin C, beta-carotene, fiber, iron, niacin and zinc. Health benefits provided by lucuma include the potential treatment and prevention of: cardiovascular issues, diabetes, digestive issues and skin conditions. 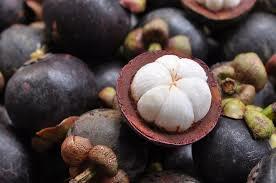 Mangosteen is a sweet fruit with a slight sour flavor similar to a combination of strawberries, peaches and vanilla ice cream. This superfood is native to Indonesia and is grown throughout southeast Asia and other tropical regions like Puerto Rico and Florida. It’s high in: antioxidants, vitamin C and fiber. Health benefits provided by lucuma include the potential treatment and prevention of: cancer, eczema, immunity disorders, osteoarthritis, urinary tract infections. Maqui is a berry that tastes similar to blackberries and is native to the rainforests of Chile and Argentina. This superfood is high in: antioxidants, vitamins (A, C, B1, B3), magnesium, potassium and calcium. Health benefits provided by maqui include the potential treatment and prevention of: arthritis, certain forms of cancer, diabetes, digestive issues, heart disease, skin problems and weight gain. 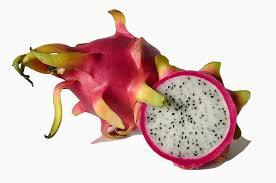 Pitaya is a fruit with bright pink spiky exterior and a very mild kiwi flavor. Its interior can either be reddish (sweeter) or white (more tart). It is likely native to Central America and is commonly grown in tropical regions throughout Vietnam, southeast Asia, North America and South America. This superfood is high in: antioxidants, fiber and vitamin C. Health benefits provided by pitaya include the potential treatment and prevention of: cancer, cardiovascular issues, diabetes, digestion issues and high cholesterol. Amaranth is a nutty, earthy-flavored grain domesticated by the Aztecs around 8,000 years ago. It is native to Peru and has historical ties to Mexico. It is high in calcium, potassium, phosphorus, iron, magnesium protein and vitamins. Health benefits provided by amaranth include the potential treatment and prevention of: diarrhea, high cholesterol, swelling and ulcers. 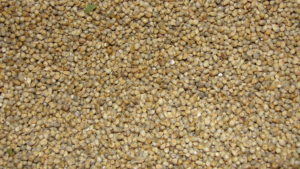 Fonio is a type of millet grain native to West Africa. It has a nutty flavor and is high in calcium, fiber, iron, magnesium, magnesium protein and zinc. Health benefits provided by fonio include the potential treatment and prevention of: anemia, cardiovascular problems, diabetes, digestive issues, hair & skin problems and hyperthyroidism. 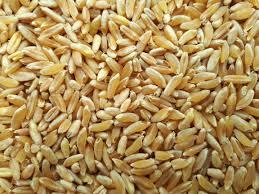 Kamut is a grain that has historically been cultivated in the Middle East and Asia (specifically in the Fertile Crescent). It has a rich buttery, nutty flavor and is high in: amino acids, lipids, minerals, protein and vitamins. Health benefits provided by kamut include the potential treatment and prevention of: bloating, the common cold, digestive problems, fatigue, headaches, muscle aches, osteoporosis and skin problems. Lupins are colorful plants with legume seeds that are commonly ground into flour. The grains have been used as food for thousands of years by the Romans in the Mediterranean, the ancient Andeans of the Andes and Native Americans of North America. 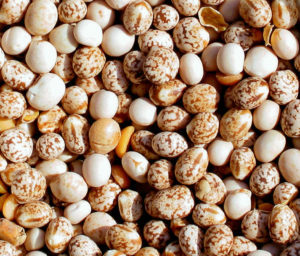 They are high in: antioxidants, protein, Health benefits provided by lupini beans include the potential treatment and prevention of: anemia, constipation, digestive problems, hair loss, heart problems, high blood pressure, infection, osteoporosis and skin damage. 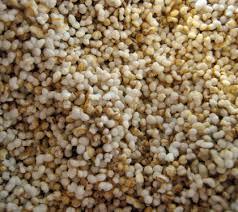 Millet is a grain commonly grown throughout Asia and Africa, particularly India, Mali, Niger and Nigeria. It is high in: fiber, protein, calcium, iron, magnesium, potassium, vitamin B and zinc. Health benefits provided by millet include the potential treatment and prevention of: asthma, cancer, diabetes, digestive issues, heart disease, high blood pressure and high cholesterol. 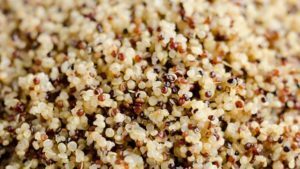 Quinoa is one of the most commonly-known super grains on this list thanks to its prevalence in health stores and restaurants. (Many people even know the correct pronunciation is KEEN-wah, so that’s a good sign of the growth of common knowledge.) It’s technically a grain crop with edible seeds in the amaranth family. There are over 120 varieties, but the most common are white quinoa (by far) followed by red quinoa and black quinoa. When cooked, it has a mild nutty flavor. It is high in: antioxidants, copper, fiber, folate, iron, lysine, magnesium, phosphorous, protein, riboflavin (B2) and zinc. 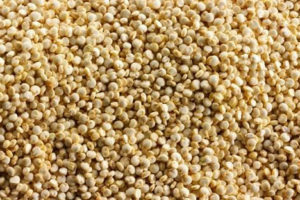 Health benefits provided by quinoa include the potential treatment and prevention of: cancer, diabetes, digestive problems, heart disease, hemorrhoids, high blood pressure, osteoporosis, slow metabolism and tissue damage. 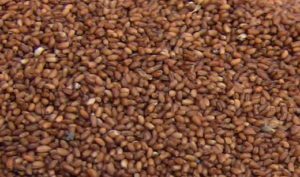 Ragi is a cereal crop native to Ethiopia and Uganda and is commonly grown in arid (dry) to semi-arid regions of Africa and Asia. 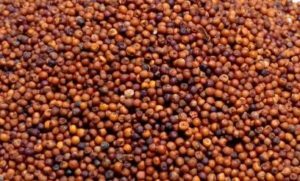 It is one of the more popular types of millet in India. It is high in: amino acids, calcium, fiber and protein. Health benefits provided by ragi include the potential treatment and prevention of: anemia, cancer, diabetes, heart problems, infections, skin aging, stress and weight gain. Teff are edible seeds from grass-like plants (also called teff or annual bunch grass) which originated from Eritrea and Ethiopia. The seeds are smaller than millet or quinoa, but also have a mild nutty flavor. They are high in: calcium, fiber, iron, manganese and protein. 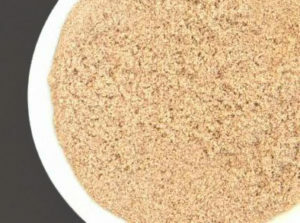 Health benefits provided by teff include the potential treatment and prevention of: anemia, cardiovascular problems, digestive problems, inflammation, osteoporosis, muscle & joint pain and weight gain. Ashwagandha is an ancient medicinal herb derived from its plant Withania somnifera, native to India and North Africa. It is high in withanolides. Health benefits provided by ashwagandha include the potential treatment and prevention of: anxiety, brain function issues, cancer, depression, diabetes, fatigue, fertility issues, muscle weakness, stress, swelling and thyroid problems. 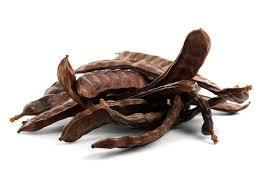 Carob is a dried pod that comes from the carob tree native to the Mediterranean region, specifically Algeria, Cyprus, Greece, Israel, Libya, Morocco, Spain, Syria, Southern Turkey and Tunisia. It is often roasted and its flavor is subtly sweet, often serving as a healthy substitute for chocolate. It is high in: antioxidants, calcium, fiber and potassium. Health benefits provided by carob include the potential treatment and prevention of: bacterial infections, diabetes, digestive issues, high cholesterol, lung cancer, osteoporosis and viruses. Chlorella is a green algae. Although it’s been around for over 2 billion years, it was originally studied and harvested in the 1940’s by US institutions (including Stanford University, UC Berkeley, the National Institutes of Health and the Carnegie Institution). The goal was to provide a reliable food source to a booming global population and potential hunger crisis, making it one of the most recently discovered superfoods. It is high in: chlorophyll, fat, protein, iron, magnesium, zinc and vitamins A, B2 and B3. Health benefits provided by chlorella include the potential treatment and prevention of: cancer, cardiovascular problems, high blood sugar, high cholesterol, chemotherapy exposure, radiation exposure, suppressed immunity and weight gain. 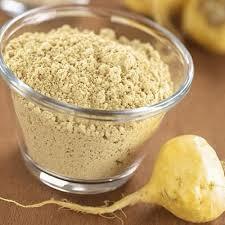 Maca is a root native to the Peruvian Andes. Varieties include: cream, semi-purple, purple and black. The cream colored roots are the largest and sweetest while the black roots are sweet and slightly bitter. These roots are high in: copper, fiber, iron, protein and vitamin C. Health benefits provided by maca include the potential treatment and prevention of: anxiety, decreased energy, depression, enlarged prostate, infertility, low libido, memory impairment and menopausal symptoms. 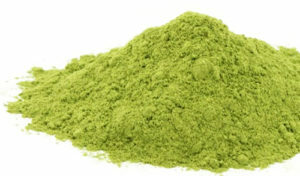 Moringa is a leafy plant native to India at the southern base of the Himalayas. It’s high in: calcium, iron, magnesium, vitamin C, vitamin B2 and vitamin B3. Health benefits provided by moringa include the potential treatment and prevention of: cognitive problems, high blood sugar, high cholesterol, inflammation, liver damage and wounds. 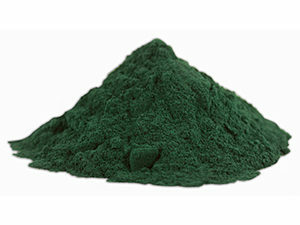 Spirulina is a blue-green algae related to chlorella. It was a major food source for the Aztecs in Mexico prior to the 1520s. It’s high in: antioxidants, calcium, chlorophyll, copper, iron, omega-3s, protein and vitamins (A, B1, B2,B3, B6, B9, C, D and E). Health benefits provided by spirulina include the potential treatment and prevention of: cancer, high blood pressure, high blood sugar, inflammation, low energy, muscle damage, neurodegenerative diseases, sinus problems, stroke and weight gain. Note: Clinical trials may be insufficient. Eating these foods alone will not guarantee perfect health. Consult a doctor before taking these superfoods (or any other substance) to treat any type ailment or disease. You can often find these exotic superfoods in your local supermarket in the “exotic fruits” and “bulk” section or your local specialty health food store. They are sometimes found fresh, but are more commonly in powder or supplement form since they can be difficult to import to the US. 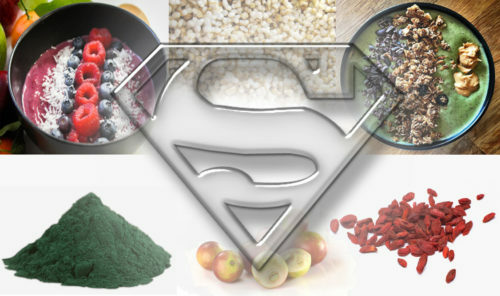 Some superfoods can also be found in the form of superfood lattes in many health-conscious cafes. The absolute easiest way to get your hands on these superfoods is to order them online. Superfoods are the best foods gifted by nature to humankind. People normally do not know about all the superfoods. You have given a nice introduction to these superfoods. 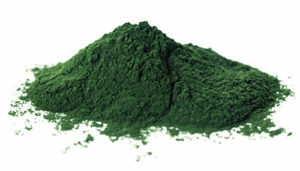 I am a regular consumer of superfood spirulina and have experienced the benefits of it. 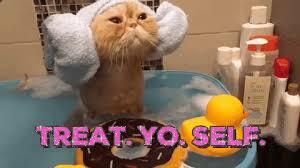 Your post is one of the best posts I have seen about superfoods and it will motivate people.